Now that summer is in full swing, we are always on the lookout for delicious homemade recipes for cold treats! Sure, we can buy all kinds of popsicles and ice cream treats in the stores and our kids are always happy when we do, but we actually find that they enjoy it even more when we make our own popsicles together instead! This is because they get to play an active role in the flavour choosing and mixing process, which means they’re getting a kick out of the popsicles before they’re even finished and ready to eat. That’s why we’re always bookmarking and noting down delicious recipe tutorials that show us how to make new flavours, especially if they’re particularly unique! Just in case you love the idea of making your very own homemade popsicles just as much as we did, if not more, here are 15 of the very best flavours we’ve come across in our search so far this summer. If you’re going to make your own popsicles from scratch at home, would you prefer to make something really unique that you know your kids will be totally into? 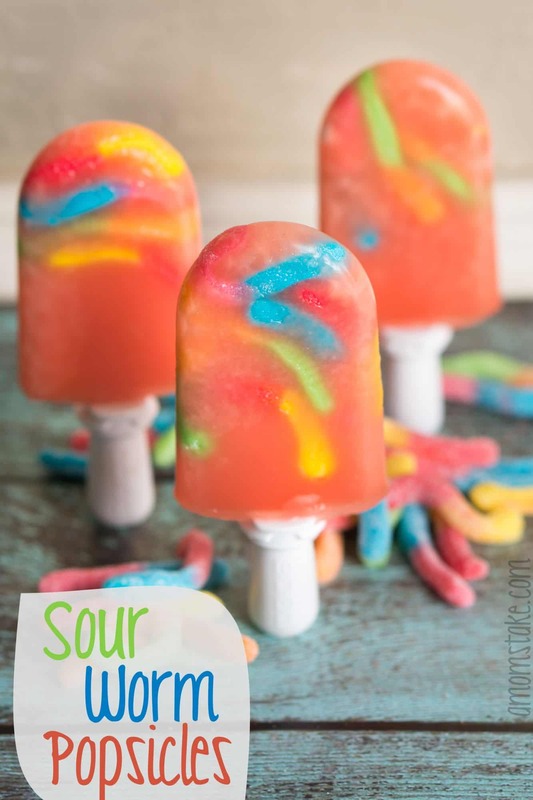 Then we have a feeling these super sweet and slightly sour gummy worm popsicles featured on A Mom’s Take will be right up your alley! It’s like an iced treat and a candy all combined in one place (and it looks really fun as well). When it comes to enjoying treats, have you actually always been more of a chocolate lover rather than a sugar snack or candy person? 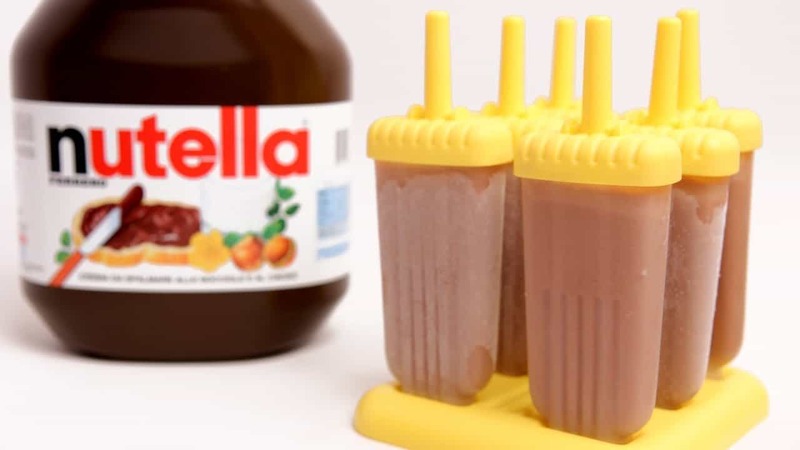 In that case, we’d absolutely suggest taking a look at how Laura in The Kitchen made these delicious Nutella popsicles from scratch! They taste like you’re eating a classic fudgesicle, but with a creamy hazelnut twist to really am up the flavour. Is your decision to make popsicles of your own right at home partially motivated by your desire to make healthier snacks for your kids than the ones that are available in the stores, which are often full of artificial food dyes, flavourings, and sugars? 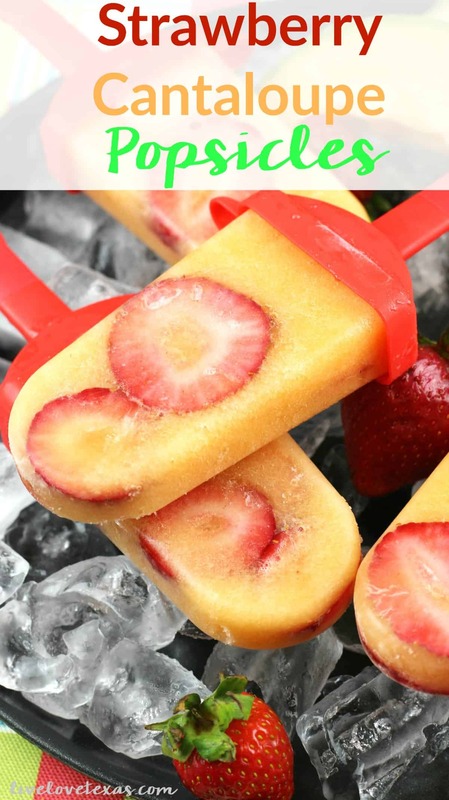 Then we think we might have found the perfect nutritious homemade popsicle recipe for you! 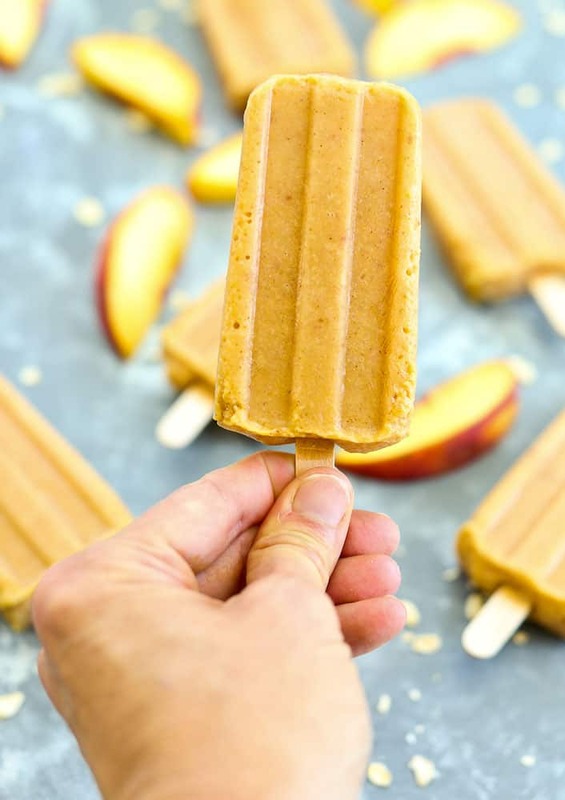 Check out how Dagmar’s Home made these surprisingly delicious carrot apple almond milk popsicles in just a few simple steps. In our family, we have several dietary restrictions based on food intolerance so we’re always trying to keep an eye out for treats we can make that are safe and healthy for everyone to enjoy, regardless of what they can or can’t have. That’s why we love these scrumptious coconut cream popsicles featured on Don’t Waste the Crumbs so much! 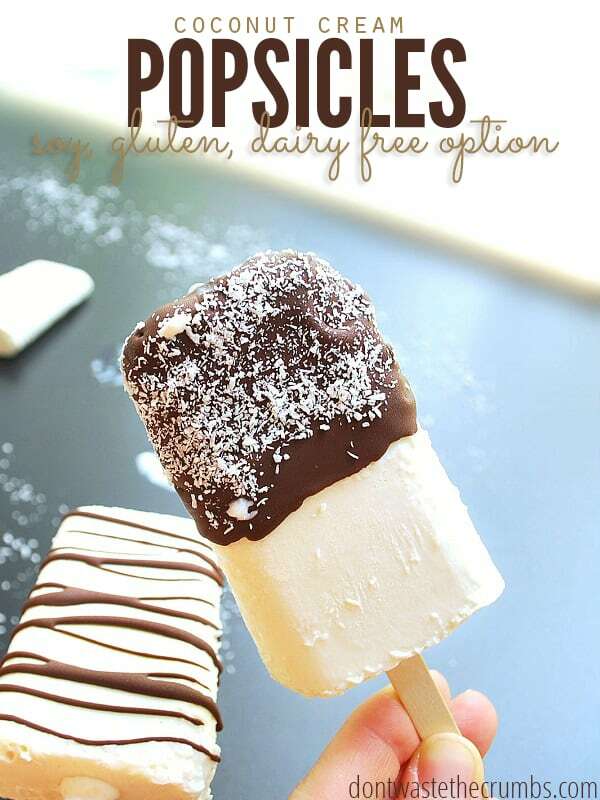 Despite being just as tasty as any other popsicle you’ve tried, this recipe is both gluten and dairy free. Recently, we’ve been huge fans of the whole dessert trend where flavours are combined and snacks are made to taste like other delicious things you love. That’s why we thought this fantastic popsicle recipe featured on Crazy for Crust that tastes just like lemon pie! Besides showing you how to make the creamy popsicle part if this iced treat, they also show you how to dip the end in a delicious crumble to really drive the “pie” idea home. 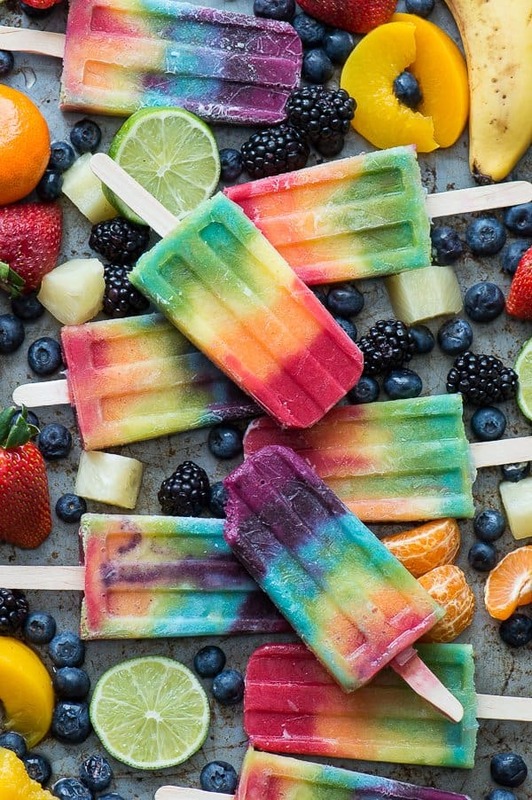 As nice as all these fancy, nearly-gourmet popsicle recipes that we’ve talked about so far are, would you actually rather stick to something more on the fruity side and a little simpler to make, even though you’d still like it to have some kind of super fun feature for your kids? Then we definitely suggest taking a look at how The First Year made these fantastically fruity rainbow berry popsicles! Are the ideas that have grabbed your attention the most on our list so far all of the creamy flavours, because you just can’t help preferring them over fruit and juice based popsicles since you love ice cream treats specifically? Then here’s yet another creamy popsicle recipe for your consideration, and it just might be the most deliciously creamy option we’ve shown you so far! 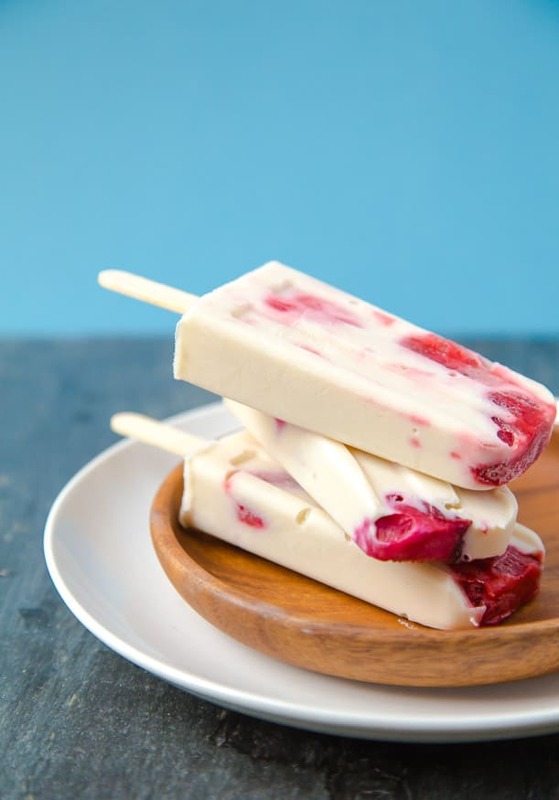 Take a look at how Dessert for Two made these strawberry popsicles with Greek yogurt. Did we really catch your attention when we started talking about homemade popsicle recipes that taste like other things you love, but pie and baked goods weren’t really the first place your mind wandered to? Then here’s another idea for you, and this time it tastes like a drink rather than a food! Check out how Lil Luna made popsicles that not only taste like Coca Cola, but are actually made with it as well, giving them a cool, bubbly texture. 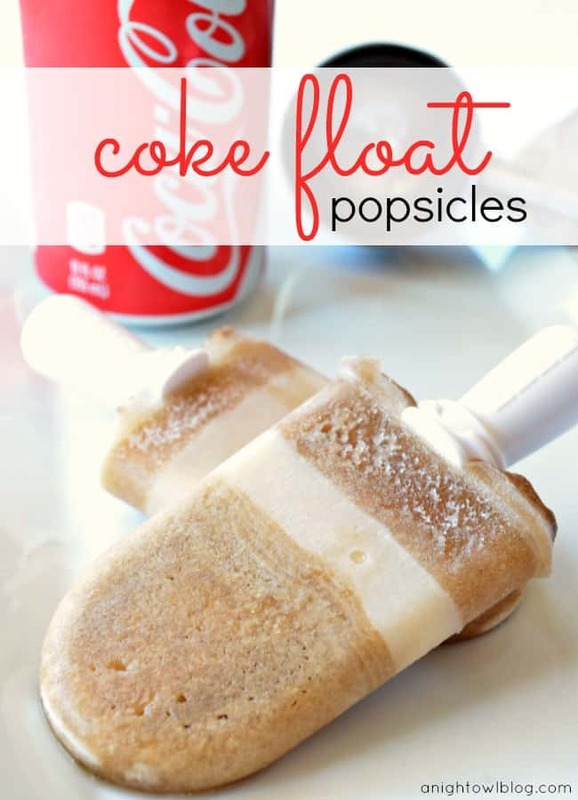 Just in case you’re really into the concept of popsicles made with pop but Coke has never really been your favourite flavour, here’s an option for you that will give you the bubbles but in a way that’s a little bit fruitier! Check out how Gym Craft Laundry made these orange spritzer popsicles that use Sprite or something similar to get the texture and orange juice to give it a great pack of flavour. It’s like enjoying a fresh, cold screwdriver cocktail but without the alcohol! Are you actually scrolling through our list and still thinking about how much you prefer creamy popsicles to everything else but we just haven’t quite found you the fruit taste or flavour that’s held your attention properly yet? Then here’s another delicious idea for your consideration! 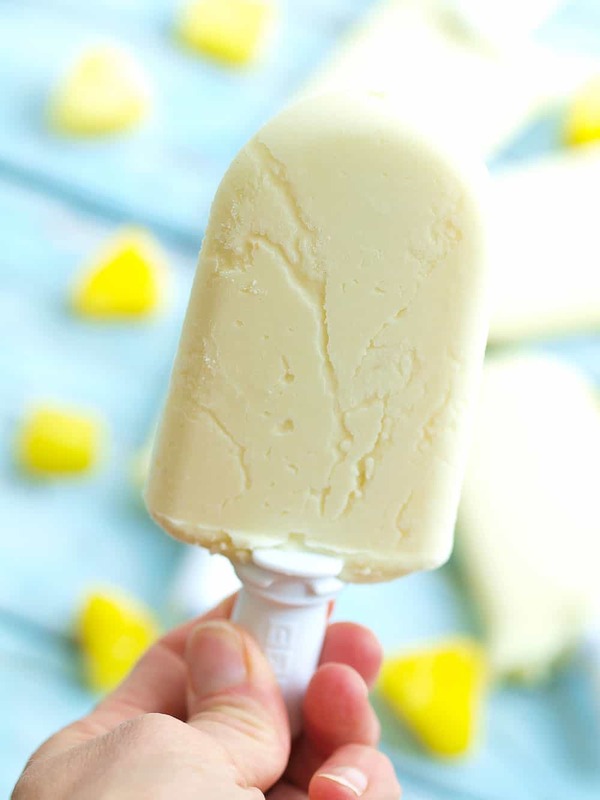 Check out how Happy Healthy Mama made these super punchy, wonderfully smooth pineapple cream popsicles using only two ingredients. Are you a huge fan of fruity popsicles of all different kinds but you’d prefer something that’s not only a little lighter and more subtle in taste, but also a little healthier and perhaps lower in sugars? 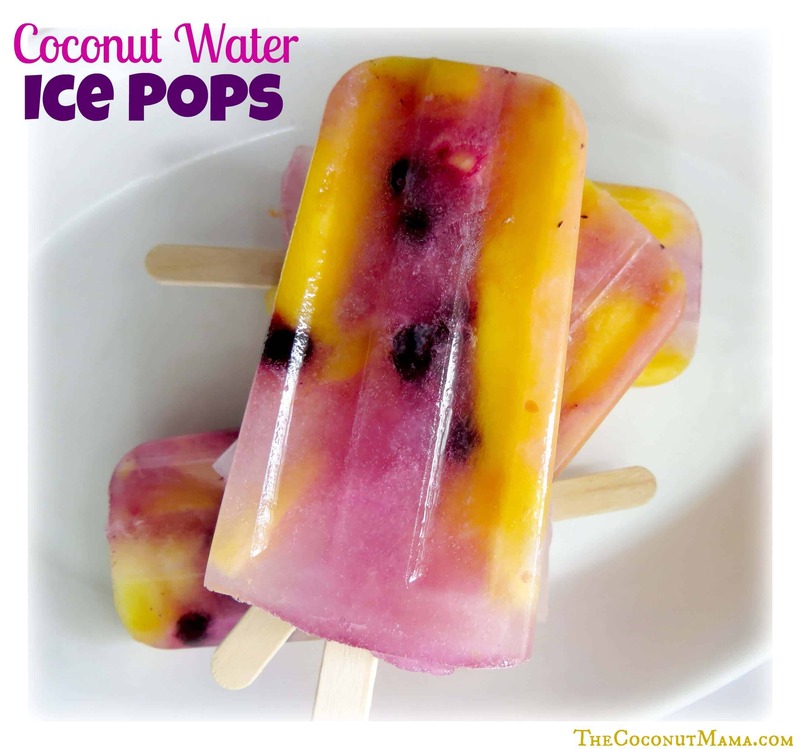 Then we think you absolutely must give these delicious coconut water popsicles outlined on The Coconut Mama a try! Their tutorial shows you how to blend the fruits of your choice, but this time using coconut water as a base for the mixture rather than super sweet and flavourful juice. Speaking of lighter flavours, have you actually been looking for a homemade popsicle recipe specifically because you want something that’s a little less impactful in its taste and sweetness, making you feel a little less guilty if you eat several of them on a particularly sweltering hot summer evening? Well, if you’re a big fan of the taste of melons, like cantaloupe and honeydew, then The Delicious Crescent has a recipe for you that’s absolutely perfect. Check out how they made these melon popsicles using rose water for a little bit of a flavour contrast. 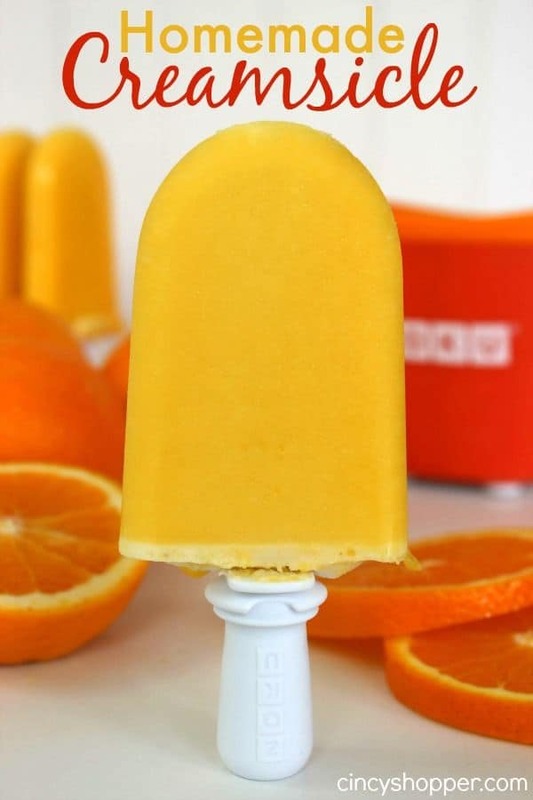 The moment we started talking about “cream” based popsicle recipes, did your mind automatically start wandering to possible the most classic cream pospsicle kind of all time, the orange creamsicle? Well, there are certainly plenty of different store brands that make those for you, but we always enjoy things ore when we can make them ourselves! That’s why we were so glad to come across this homemade orange creamsicle recipe featured on Cincy Shopper. 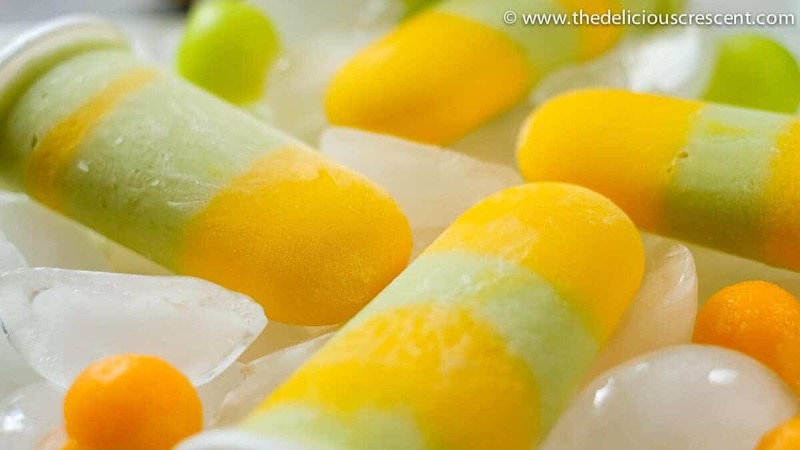 Did we really catch your attention when we started talking about the light tasting melon flavoured popsicles we showed you earlier on our list, but you actually enjoy cantaloupe much more than you like honeydew, even though you’re still interested in a recipe that combines two flavours? Then maybe you’d get along a little better with a recipe that helps you make strawberry cantaloupe popsicles instead! Get the full details for making it happen on Live Love Texas. Have you actually been scrolling through the whole list and finding yourself still thinking about the earlier idea we showed you where the popsicles taste like pie, but you’ve just never been a huge fan of lemon flavours? In that case, we have a feeling you might get along much better making this peach version of a similar idea instead! Happy Healthy Mama guides you step by step through the process of making peach crisp popsicles made with actual peaches for maximum flavour. Do you have other favourite homemade popsicle recipes that you love making with your family and that they always gobble up right away, but that you don’t see on our list? Tell us all about how it’s made or link us to recipes in the comments section!